There are three “powers” connected to every job. Regardless of the tasks performed and level of authority, these three elements are evident. For some people, skill and knowledge powers create barriers in their communications and relationships with others. Some brilliant minds of technicians, scientists, chief economist and engineers clearly understand the world of bytes, megabytes, semiconductors, biotechnology, telecoms, blockchain innovations and artificial intelligence where I was a total stranger. Lol! But not anymore! “Virtual currency is a digital representation of value that can be digitally traded and functions as (1) a medium of exchange; and/or (2) a unit of account; and/or (3) a store of value, but does not have legal tender status (i.e., when tendered to a creditor, is a valid and legal offer of payment) in any jurisdiction. It is not issued nor guaranteed by any jurisdiction, and fulfills the above functions only by agreement within the community of users of the virtual currency. Virtual currency is distinguished from fiat currency (a.k.a. “real currency”, “real money”, or “national currency”), which is the coin and paper money of a country that is designated as its legal tender; circulates; and is customarily used and accepted as a medium of exchange in the issuing country. Please note however that the above description is only one of several definitions. How regulators define virtual currencies will continue to evolve as the regulatory landscape in this area gains clarity. Regulation is necessary, but avoiding over-regulation is crucial. The risk for over-regulation are huge, especially when we take a look back at the recent history of regulation. According to Joseph F. Borg & Tessa Schembri, WH Partners, Europe is notorious when it comes to over-regulation. They state that while it is undeniable that these regulations are backed by good intentions, the reality is that many recent European Union directives and regulations are bad for business: they cripple star-ups and limit innovation. 3. Ensures good governance to protect investors as well as end users from fraud, mismanagement and gross negligence. The best solution for protection, which I also agree with, is ensuring transparency and providing the necessary information for an adult to be able to make his/her own decision. With position power, some people rule over those in lower levels of authority. Top executives or managers might show disrespect or favoritism while others might display arrogant behaviors to appear superior. Please note however that this is not true for every person in a position of power. However, we can’t deny that power plays are common in today’s society. But there is one power I personally believe is greater that all powers and I believe with the Holy Spirit’s guidance, He is essential to be effective in any job- God’s power! We should always pray and ask God to erect a “hedge of protection” around us as we go through our daily lives in whatever capacity we are given. His protection however does not mean you will be void of sin in your personal life or the struggles we all encounter in our professional careers. I believe however that God’s power in our life will always check us when we’re tempted to abuse our skills, knowledge and position powers. Especially if it affects the lives of His beloved people. When we depend on Him for protection, the allure of temptation is diverted, removed or eliminated. I believe our prayer should be for God to free us and keep us from temptations of pride, envy, lying, lust, greed and countless other sins each day. Believe me I pray on this every day because after all I’m only human and being human is an instant qualifier for many of the temptations I stated above. Who then is like me? Let him proclaim it. Do not tremble, do not be afraid. The growing fascination with digital assets, including cryptocurrencies (a.k.a. digital currency or virtual currency) and tokens, presents legal and operational challenges to investors, entrepreneurs and service providers, not to mention the regulators who oversee them. “Utility tokens” refer to coins or tokens that serve a particular (non-incidental) function, or give the holder rights or access to goods, licenses or services. A common form of utility token may give the holder the right to use a computer program that provides a kind of service for a defined period of time. Jay G. Baris of Shearman & Sterling LLP states that some refer to utility tokens as “app coins”, “app tokens”, or “utility coins”. Some utility tokens may be securities, others are not. Rule 206(4)-2 under the Advisers Act defines custody to mean “holding, directly or indirectly, client funds or securities, or having any authority to obtain possession of them”. The regulation provides that you have custody of an asset “if a related person holds, directly or indirectly, client funds or securities, or has any authority to obtain possession of them, in connection with advisory services you provide to clients”. The Cayman Islands Chamber of Commerce is always offering informative workshops on a variety of subjects and I myself have found them to be very useful and thought-provoking. 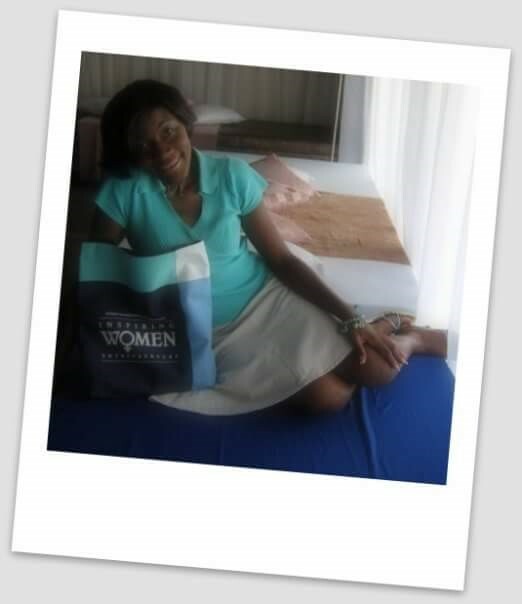 Visit www.caymanchamber.ky today for more information! • Any capacity (such as a general partner of a limited partnership, managing member of a limited liability company or a comparable position for another type of pooled investment vehicle, or trustee of a trust) that gibes you or your supervised person legal ownership of or access to client funds or securities. To determine what law applies, we must look at the nature of the person or entity that holds or proposes to hold a digital asset. • Other pooled investment vehicles which might be commodity pools that otherwise would be investment companies but for an exemption under the 1940 Act. That investors in investment trusts and investment companies are subject to substantial losses at the hands of unscrupulous persons is obvious from the very nature of the assets of such companies. Their assets consist almost invariably of cash and marketable securities. They are liquid, mobile, and easily negotiable. These assets can be easily misappropriated, ‘looted’ or otherwise misused for the selfish purposes of those in control of these enterprises. In the absence of regulating legislation, individuals who lack integrity will continue to be attracted by the opportunity available for personal profit in the control of the liquid assets of investment trusts and investment companies. 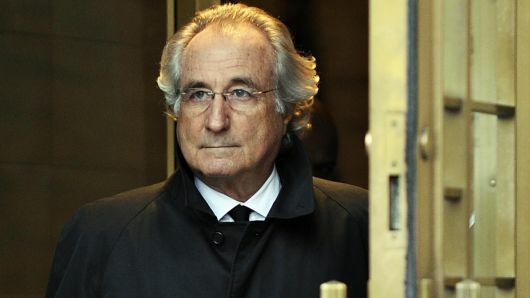 As I researched further, I came across the Bernard L. Madoff massive Ponzi scheme in which he convinced his clients that they owned securities that did not exist. For years, he evaded regulatory scrutiny until the scheme began to unravel. This scandal prompted the SEC to take actions to reduce the chance that a Madoff-style fraud would occur or go undetected in the future. For investment advisers who can control their clients’ assets, the rule requires enhanced procedures, such as surprise asset-counts, third-party reviews and audited financial statements. It is interesting to note however, when the U.S. Congress enacted the ICA and the Advisers Act, it clearly did not contemplate, or even dreamed of, how the law would apply to digital assets such as cryptocurrencies (virtual or digital currencies) or utility tokens. However, the basic concerns of preventing fraud or misappropriation are just as valid today as they were in 1940. The only difference is that we are now attempting to apply 80-year-old laws designed to protect assets consisting of cash and securities to an entirely new class of digital assets created by a technology that did not exist at the time the laws were written. The term “smart contracts” can be misleading especially for lawyers who have a definite idea of what must be shown for there to be a binding legal agreement between parties. At a minimum, a contract requires there to be an offer by one party, an acceptance by another party, and some form of consideration to exist. When the term is used by software engineers, it means computer code that is self-executing (the type of code will depend on the protocol on which the code is implemented). The term “smart legal agreements” has been used to describe a hybrid legal contract, and this combination of a legal agreement with a smart contract would be most useful for financial instruments. If we were to envision how the LSTA (Loan Syndications and Trading Association) confirm could become a smart legal agreement with certain provisions remaining in human prose; for example, the reference to LSTA Arbitration Rules could remain as text while provisions relating to the calculation of the loan purchase price could be coded and thus become self-executing. There is risk of error or corruption when utilizing smart legal agreements and the management of information that is drawn from an external source referred to as an “oracle” in the blockchain nomenclature. Because smart contracts are programmed to be self-executing, some information may need to be pulled in from an external source, and therefore it is essential that this information from the oracle be accurate. Smart contracts build on the innovation of blockchain technology and have the potential to allow parties to structure and carry out transactions in a more efficient and secure manner than traditional contracts; however, there are still challenges and obstacles that must be overcome before smart legal agreements become commonplace. Although they recognize that the technology remains in its infancy and is not a panacea or solution for all our market’s present challenges, they remain confident that smart contracts and blockchain technology will ultimately transform our market.